How Can I Cruise Without a Passport? There’s a major reason people love to take cruises. Yes, they are one of the best values for seeing multiple ports. And yes, the sun and the fun are huge draws. But more than anything, people love to cruise because it’s easy. You just pack your bags, find your cabin, and then you’re whisked away to exotic ports. What could be simpler? Well, if you don’t have a passport, then it’s not always so easy. Every cruise line has warnings that every passenger should travel with a valid passport. In fact, we also suggest that every cruise passenger have a passport. But what many people don’t know is that in most cases you don’t have to have a passport to cruise. That’s good news if you have a trip coming up and don’t already have one. And frankly, if you are only an occasional traveler, we can understand why you wouldn’t have a passport already nor be very eager to get one. For one, new passports are somewhat expensive. A passport book costs $110. So if you are taking a family of four on a trip for the first time and want to supply them all with passports, that’s nearly $500 spent before you even set foot on a ship. You can get a passport card (basically a fancy driver’s license) for only $30. It’s cheaper, but not as versatile as a traditional passport. For example, if something happens on your cruise and you need to fly back, the passport card does no good. It’s only valid for land and sea entries from Canada, Mexico, the Caribbean, and Bermuda. Of course, all of these options suppose that you have the time to get a new passport before your cruise. As you can see below, it can take several weeks before you can expect yours to arrive after ordering. Some people may simply not have enough time before their trip. Luckily, a little known law helps most people from having to deal with the time or expense of getting a new passport for their cruise. The law is called the Western Hemisphere Travel Initiative, or WHTI for short. Put simply, this rule says that if you embark and debark at the same port in the United States, then you can enter the U.S. using only a birth certificate and a driver’s license. So if this is the case, why are the cruise lines so adamant about getting a passport in the first place? First, if anything were to happen that made you have to find alternate transport home, then you’d be in deep water without a passport. For example, if you had to fly home from a foreign port due to a family emergency, then you’d have trouble returning without a passport. Second, just because the U.S. allows travel with a birth certificate and photo ID, doesn’t mean other countries will let you enter with one. To be straightforward, we haven’t heard of this happening in most Caribbean ports — they love the dollars that come with cruise passengers and try to make things as easy as possible for them to visit. Still, they could require a passport if they wanted to do so. Our suggestion is to always sail with a passport that’s valid for at least six months after your cruise. But if that’s not possible, then you can sail with a birth certificate and a government-issued photo ID. 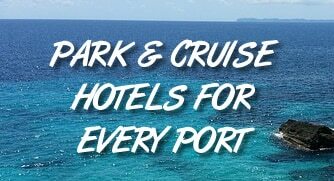 If there are any doubts, be sure to contact your cruise line well in advance of your trip. We have heard of cruise lines requiring every passenger have a passport, even if the WHTI says otherwise.